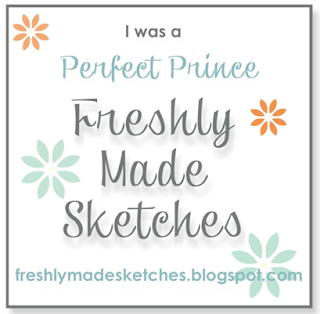 Before I share today’s card for Freshly Made Sketches, I want to thank Jennifer Brum for selecting my card as a Perfect Prince in last week’s Freshly Made Sketches challenge. I love these design challenges and am always honored to be recognized. To see my winning card, click here. Woo hoo! Markers. With the introduction of Stampin’ Up!’s Blendabilities earlier this year, I’ve been doing a lot of coloring. So fun, so relaxing. 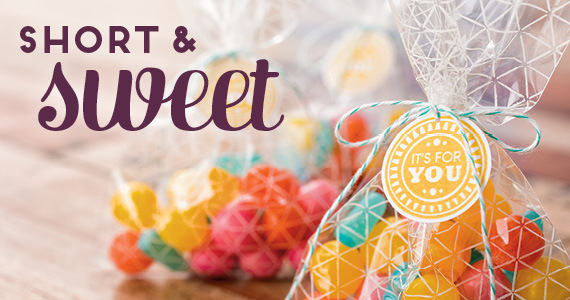 For this product, though, I decided to give my Stampin’ Write Markers a spin. I’ve never really used them for much other than painting on stamps. I am really happy with how this turned out. I used Baked Brown Sugar, Pear Pizzazz, Pistachio Pudding, Sahara Sand, Crumb Cake, Rose Red Hello Honey and So Saffron. Trimming the Tree. I stamped this tree close to the bottom of the white panel. I then trimmed about 1/4″ from the bottom, making sure my trimmer didn’t crop off the trunk of the tree. I carefully snipped around the trunk to allow it to hang below the panel. I embossed the Baked Brown Sugar banner with White Stampin’ Emboss powder, stamped the base of the tree right where I wanted it to cross the banner and then trimmed out the tree from the banner. Tomorrow. After my selection as the winner of Merry Mondays Challenge last week, I am honored to be a guest designer on tomorrow’s Merry Mondays blog. So excited to share tomorrow’s project with you. wow – i really don’t know how you do it – amazing! Hi Brian, Love this card. The lines are very prominent. Like that it is not the traditional red and green colors. Very nice. Great job, Brian! And your stamping on the back of the envie is delightful. Love the colors…so soft and peaceful. You make beautiful cards, Brian! very pretty, love your colour combo, and I will use it. Thank you! Brian, you are just too talented! Love this card! Perfect stamp set for a clean card, thanks Brian. Nice colors, Brian! I especially like the idea of trimming the bottom of the trunk!! Thanks for sharing this beautiful card! I LOVE THIS CARD! I never even saw that stamp until you posted it. Funny how some things just don’t catch your eye until you see somebody else use it. I just love your color selections, and the simplicity of the layout give such focus on the tree. Great as usual, Brian. Fabulous color choices and a delightful card!! That is a great color combo for fall. And as it turns out a great color combo for a little Christmas sing-along! Thanks for joining us at Freshly Made Sketches! So pretty! And I am surprised that you didn’t snip the bird….Mr Mc Snips! I love the clean lines at the bottom. And the color scheme. I’m starting to like BBS just in time for it to retire, lol. Like Anita, I passed on this stamp originally, but with your soft colors, it’s just beautiful! I love simple and cute. Fantastic colors too Brian. P retty and softly colored . I popped in twice today ….once to look at your card on my Kindle tablet and came back later to leave some wonderful comment …there was a strange ad that kept blocking saying that this site was done by Gator ????? ODD??? Anyway I like your card and I really like this stamp ! The first day of Christmas never looked so good! Just stunning. Where are the Lords a Leaping now??? I didn’t have a chance to comment yesterday so, hopefully you will see this words anyway. I love this card and the way you applied the color to this pretty image, as soon as I saw it, the Christmas song came to my mind. Brian this card is fabulous! You have made this image shine in a way that I never could – totally love your colouring! Thanks for joining us at Freshly Made Sketches this week!